Read the above link before proceeding. The letter was supposedly written anonymously by someone active in the PAP grassroot camp. While some say that the letter was fabricated, it nevertheless resonated with a lot of us. The letter said a lot of things that have been in our hearts all this while. I personally do not think increasing of our island population is wrong but I just felt that it was too knee-jerked. 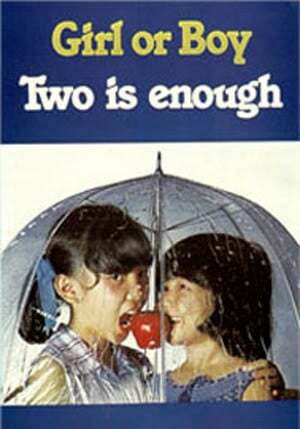 Remember the "Two Is Enough" campaign back in the 70s & 80s? The gahmen then was afraid of a population explosion as Singapore was growing at a stellar rate. What they didn't foresee was that the outcome of that campaign was so successful that it backfired and the rapid aging population problem was to become a full-blown reality. Anyone also recall "Two Is Enough But Three Is Better" (or something to that effect)? So now the gahmen says let's open the floodgate and push it up to 6.9 million by 2030. Let me ask you this. Do you see a trend here? I have come to notice that this is the trait of our current gahmen. We are run by a bunch of myopic knee-jerkers. But what really got my goat was the way the gahmen handled this. Bulldozing without a regard of what the people of the land has to say about it. Remember this? --> JayWalk Online (25 Apr 2005) - CasiNo? CasiYes? Essentially, the supposedly letter to the PM above is talking about the same thing as my blog entry circa 2005. If anyone recall a person by the name of Pauline Hanson? She was an Australian politician who had a big beef with her own country's immigration policy where she said that they were "in danger of being swamped by Asians". I remembered my first reaction to that 1996 speech was "What a xenophobic cow!" 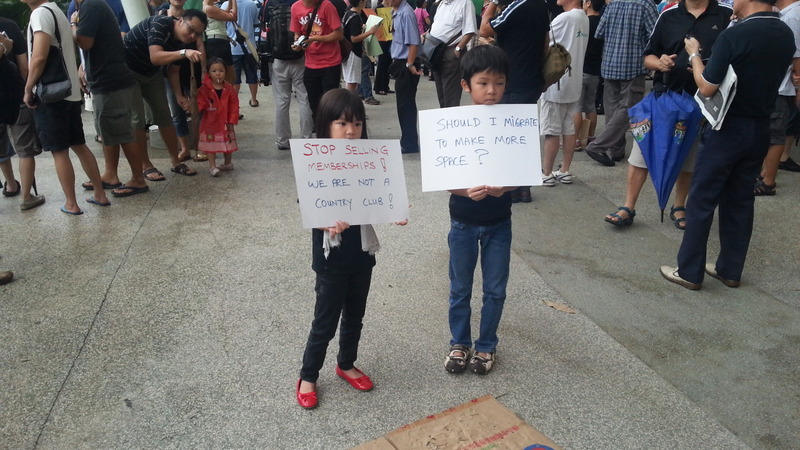 And here we are at Hong Lim Park protesting against the massive influx of foreigners and I and starting to understand where she was coming from. There is a difference between xenophobia and cane toads. The next article below was an interesting one as it talked about a similiar plight faced by Britain. They too, got the short end of the stick when they inadvertently let in too many people in too short a time and then-Prime Minister Gordon Brown lost his job as a result. This got me thinking. Come 2016. What if PAP loses Ang Mo Kio GRC? Under this scenario, while I am sure PAP would still return to power come 2016 GE (likely by the skin of their teeth), Lee Hsien Loong would be out of a job when Ang Mo Kio GRC falls. Who then would be the one to steer the PAP ship? What would PAP be like without the Lees? So who will be the next PM? Lee Kuan Yew coming back to the front line at the ripe old age of 93. Seriously? 93? How about Goh Chok Tong coming out of a more recent retirement instead? Would Teo Chee Hean stand idly by and let his career advancement be stalled? So perhaps it will be Teo Chee Hean then? How about Chan "Kee Chiew" Chun Seng who is supposedly a future candidate for that PM seat? Too soon? Would this be the end of the Lee Dynasty?